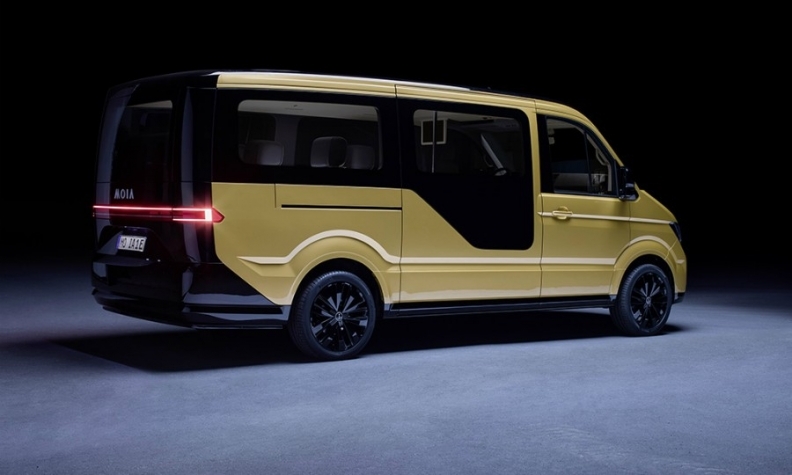 VW's electric minibus has fast internet access for passengers and seats with reading lights as well as USB ports. 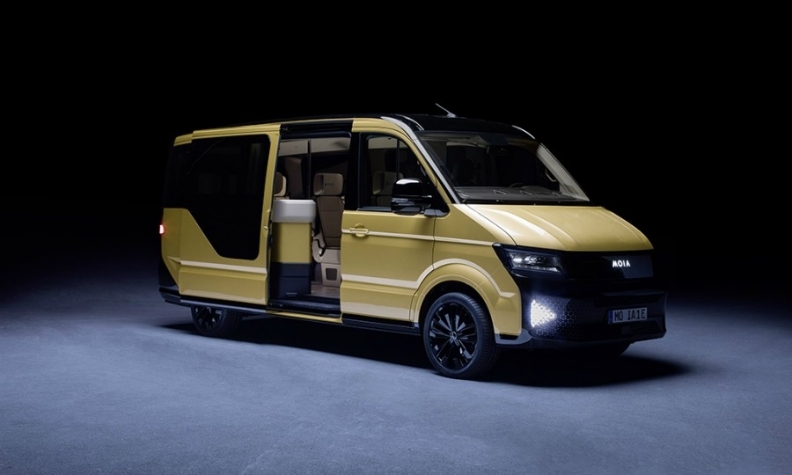 FRANKFURT -- Volkswagen Group's Moia mobility division unveiled a six-seat, electric minibus that will roam the streets of Hamburg from next year as app-based hailing and ride-pooling services become the next must-have for automakers. Moia plans to roll out its offering internationally with the goal of replacing 1 million cars in European and U.S. cities by 2025, Ole Harms, CEO of the division, said on Monday at the TechCrunch Disrupt conference in Berlin. "We want to offer solutions for traffic problems such as congestion, air pollution, noise and lack of space," Harms said in a statement. The Hamburg service will start out with 200 vehicles, and scale up to about 1,000 in the following years, he said. Moia will hire drivers, as well as sell the service to fleet operators and municipalities. VW added Moia a year ago as its 13th brand alongside nameplates like Audi, Porsche and Skoda to expand beyond its main business of producing and selling vehicles and generate new sources of revenue. The foray is part of a broader overhaul VW embarked on in the wake of its diesel-emissions crisis to become more agile and prepare for a fundamental industry shift toward battery-powered cars with new digital features. VW acknowledged Moia’s push to reduce urban traffic is poised to partly cannibalize some of its own existing business of selling cars. "If we don’t do this, competitors will," VW’s strategy chief, Thomas Sedran, told reporters. Customers can order the ride-pooling service through an app, similar to Uber's system. The app shows which cars are available and how much the ride will cost before a customer books a trip. A pooling algorithm groups passengers with similar destinations together in order to increase the capacity for each car and to avoid detours. The vehicles have fast internet access for passengers and the seats feature reading lights as well as a USB ports to charge smartphones or tablet computers. "Pooling as such isn’t a new idea, but the actual implementation is often not ideal. We want to combine the efficiency of pooling with a pleasant customer experience," Moia Chief Operating Officer Robert Henrich said. 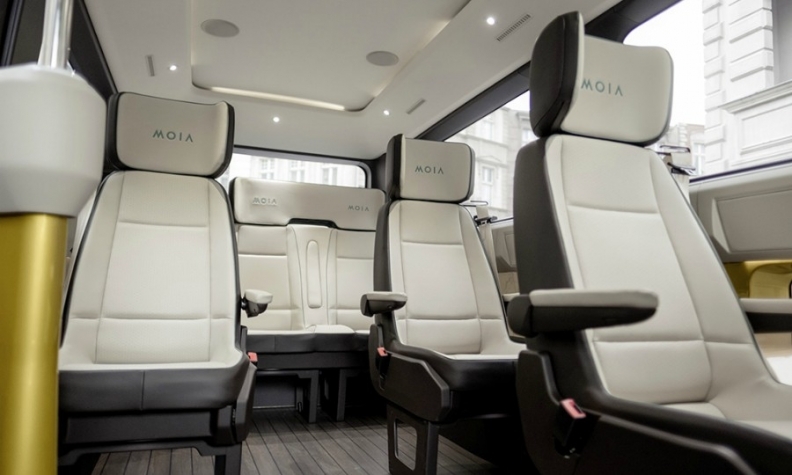 The Moia van's interior was designed to be spacious, with standalone seats, plenty of legroom, and enough space to move around and reach each seat with ease. Moia developed the vehicle within 10 months in collaboration with VW’s light commercial vehicle division. It has a range of more than 300 kilometers (186 miles) and can recharge 80 percent of battery capacity within about 30 minutes. Moia aims to be one of the world’s three biggest mobility providers and to generate revenue of “a couple of billion” of euros in a few years, Harms had said last year. VW is potentially open to selling a minority stake in Moia, in which it has invested an amount in the “significant three-digit million-euro range,” he said at the time. Under its previous management, VW was slow to explore trends such as car sharing. After the diesel scandal erupted and CEO Matthias Mueller was appointed, he started to allocate significant funds to these new business opportunities, investing $300 million in ride-hailing provider Gett. By contrast, German rival Daimler founded its car-sharing service Car2Go in 2008 and has since added public-transit and cab-hailing apps. Automakers across the globe have been stepping up efforts to expand digital offerings as Silicon Valley giants like Apple and Google plot inroads in the industry and manufacturers fight back to avoid being forced to act as mere hardware suppliers. Additionally, ride-hailing services such as Uber are calling into question whether drivers will need to buy vehicles in the future.